What Makes Windows Energy Efficient for Homeowners in the Madison, WI, Area? Energy efficient windows are one of the best investments you could make for your Madison, Wisconsin, area home. Not only will new windows boost the aesthetic appearance of your house, but the energy efficiency will help put less strain on your home’s heating and cooling system – potentially reducing your monthly energy costs. 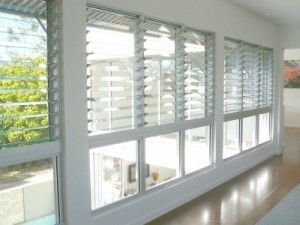 Material – Be sure to choose the frame materials of your windows carefully. If you are looking for something energy efficient and affordable, vinyl is a great choice since it will increase your home’s thermal performance. Glass – Glass plays a huge role in how energy efficient windows are, so be sure to choose a product that has double-paned, Low-E glass options and krypton gas fills. Installation – A window is only as good as its installation, so make sure you partner with a company that will know how to install your windows with the utmost precision so there are no cracks or gaps that make room for air leakage. At ABC Seamless Home Specialists, we can provide you with exceptional windows and install them with the utmost skill and precision. Our vinyl windows have foam insulated sashes and frames, krypton gas fills, triple Low-E coating, and a triple pane glass package for optimal thermal performance. Contact ABC Seamless Home Specialists today for more information about our energy efficient windows. We are proud to serve homeowners in the Madison, WI, area.